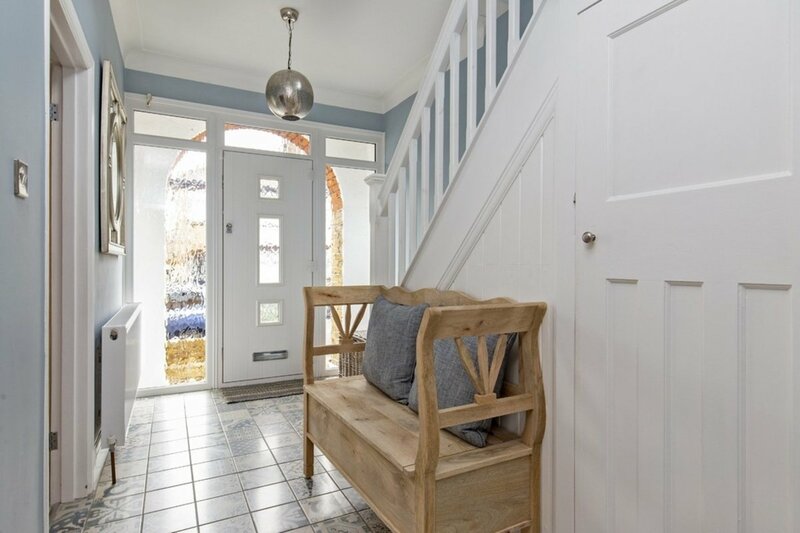 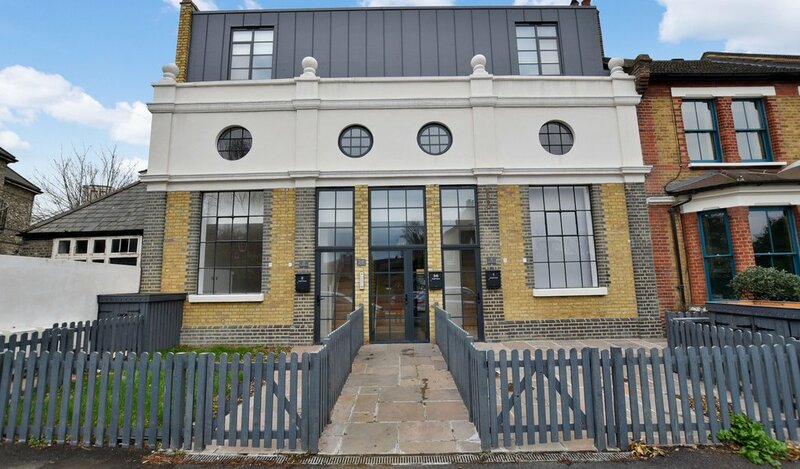 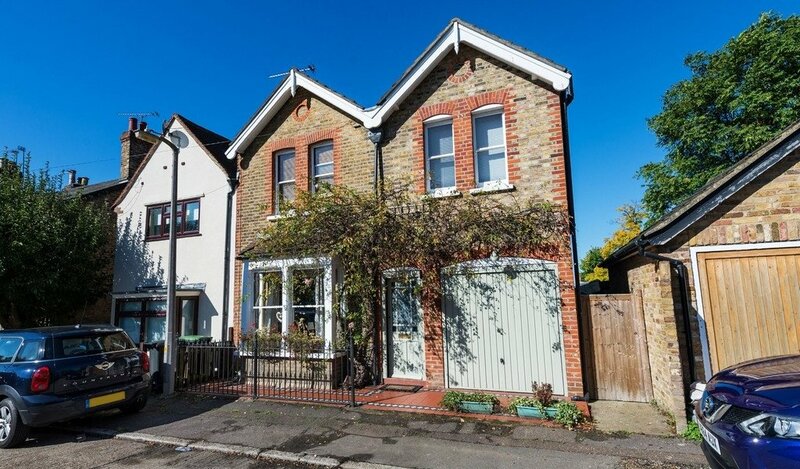 This stunning detached period house is positioned a short walk from South Woodford Station and George Lane shops and boasts an integral garage, fantastic kitchen/diner, separate utility room, roll-top bath and wet-room shower. 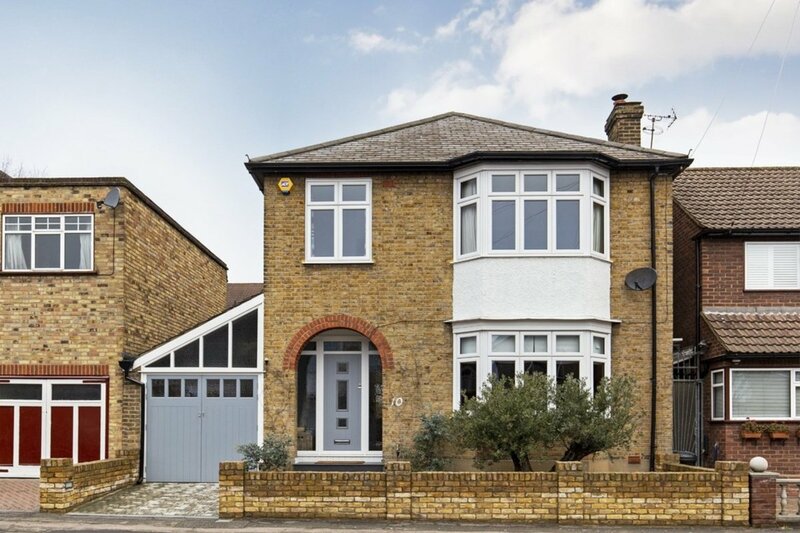 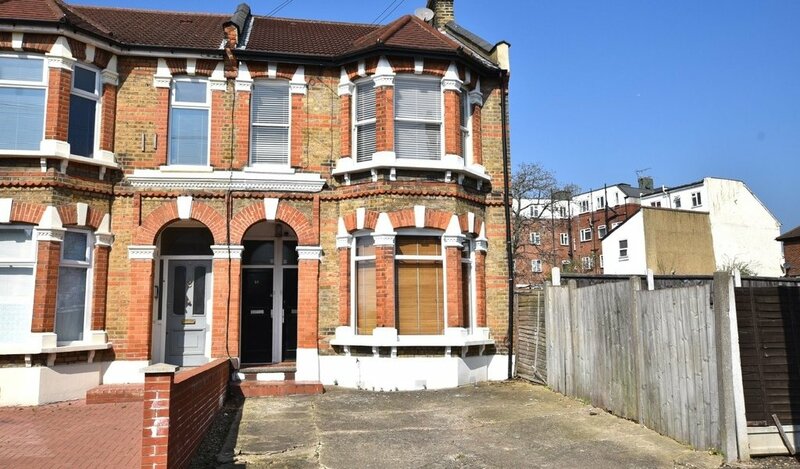 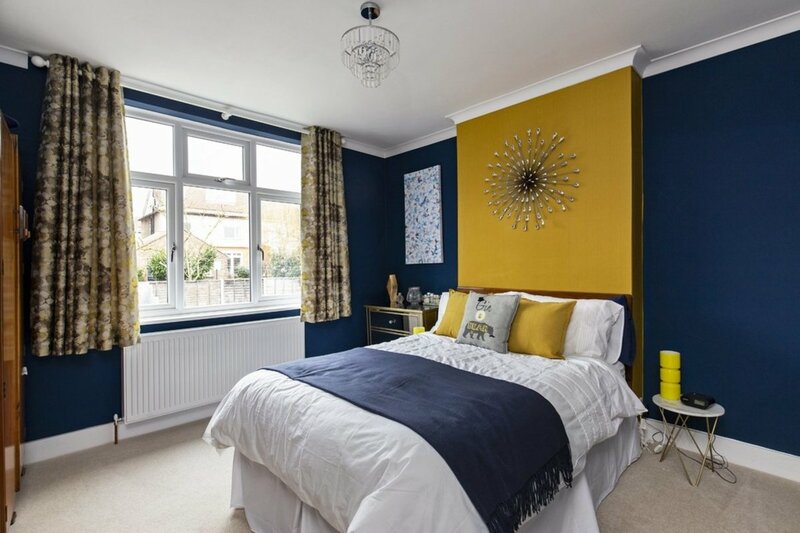 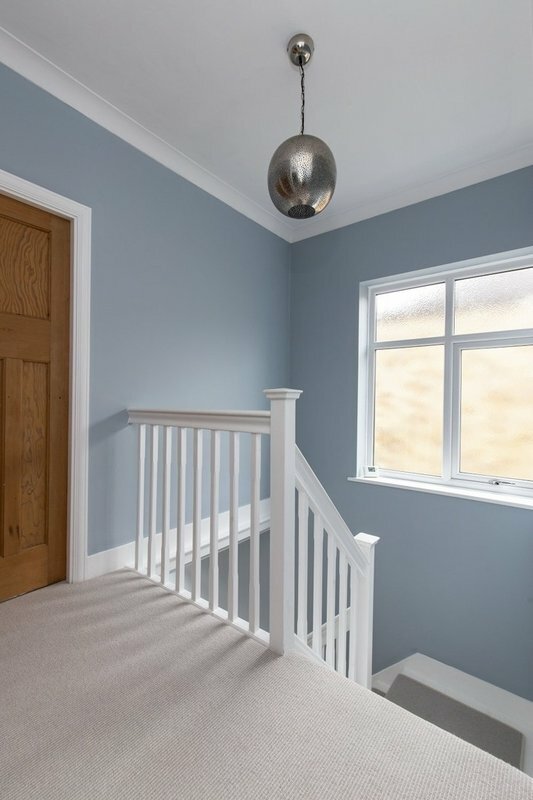 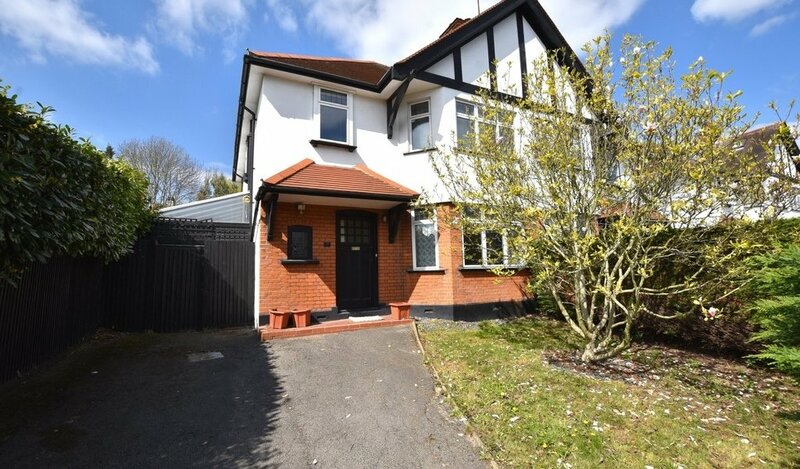 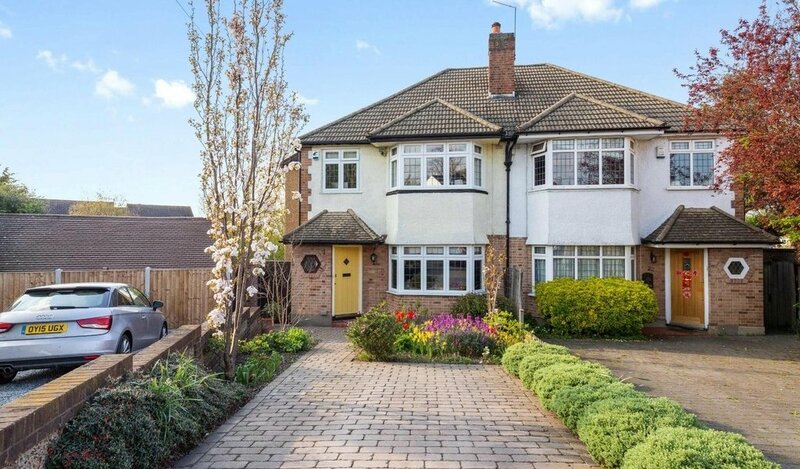 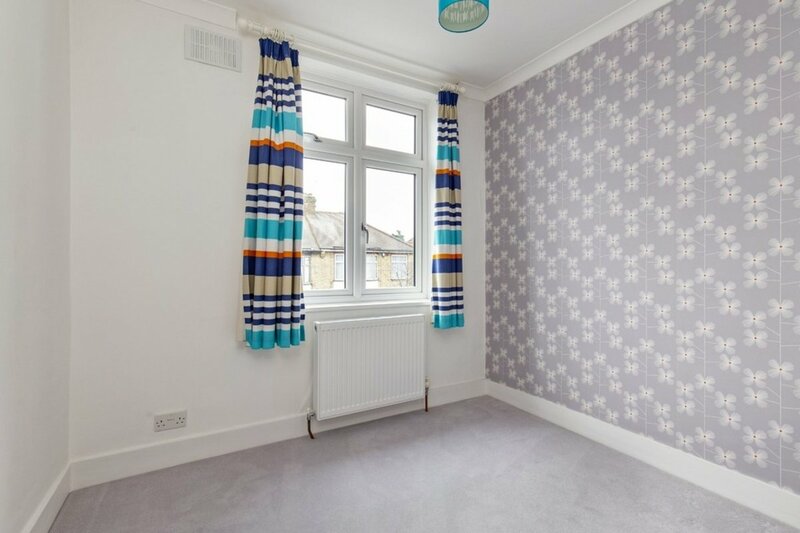 This detached period home is positioned 0.4 miles from South Woodford Central Line Station and George Lane Shops, 0.3 miles from Oakdale Junior School and is close to a variety of nurseries, making it perfectly placed for commuters or parents wishing to easily walk their children to school of a morning. 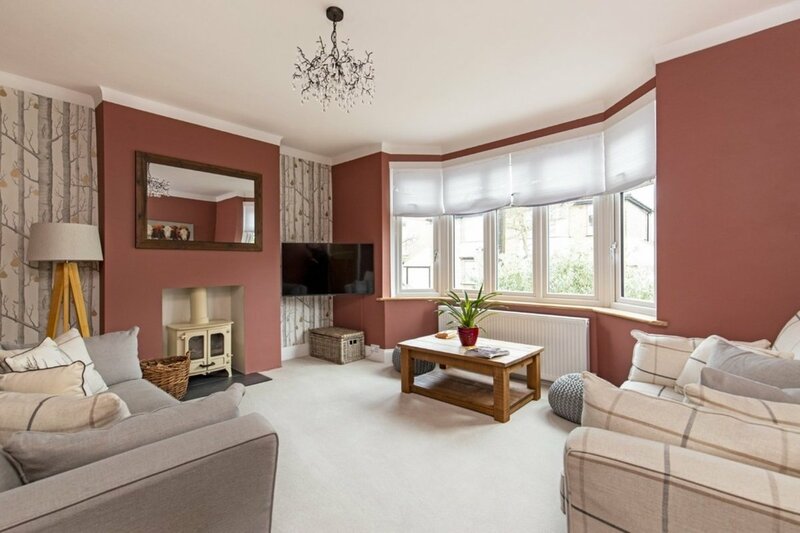 Wanstead High Street is under a mile on foot with Snaresbrook Station only one mile away, ensuring you can also take easy advantage of what Wanstead has to offer. 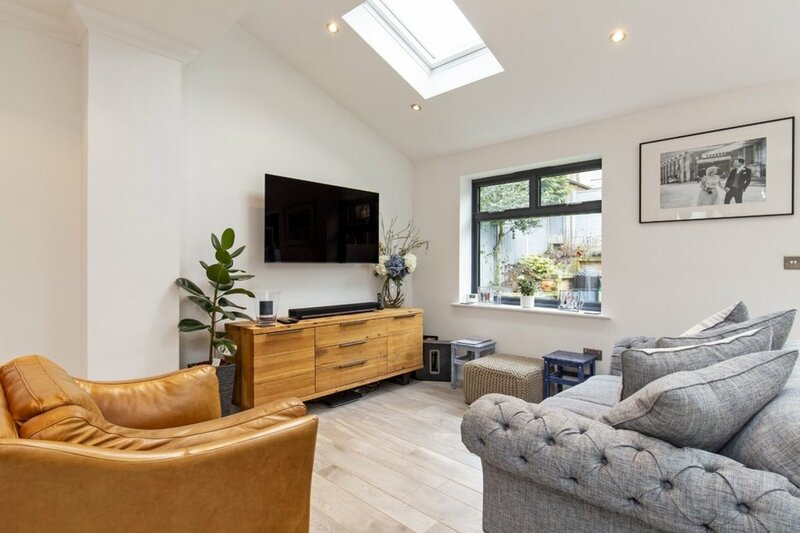 The property itself has been carefully and thoughtfully designed and extended to offer a perfect mix of both period touches with modern conveniences, with every room offering luxury conveniences and plenty of natural light. 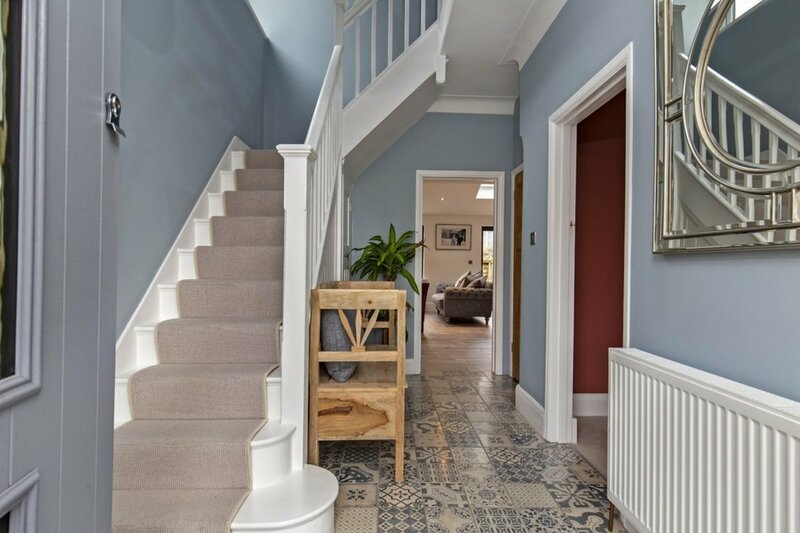 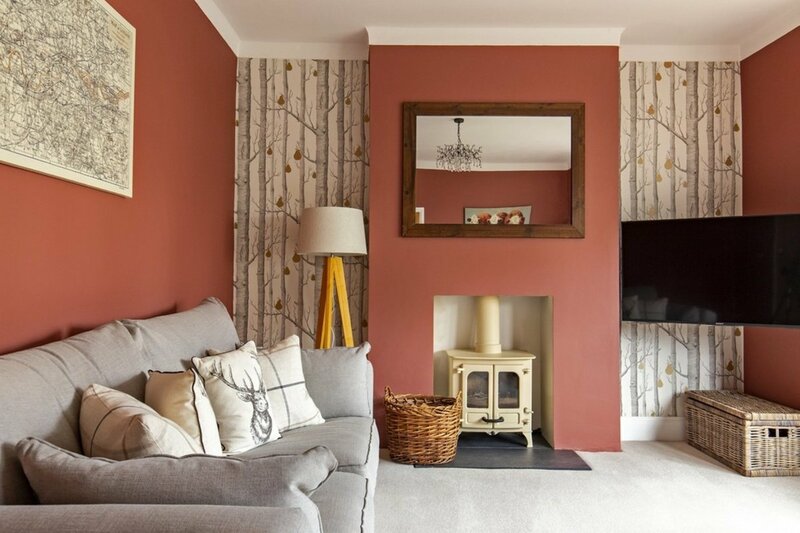 As you enter, the hallway leads you via an elegantly tiled floor to the formal reception room at the front of the house, decorated in dusky pink hues and feature wallpaper, framing the central fireplace and wood burner. 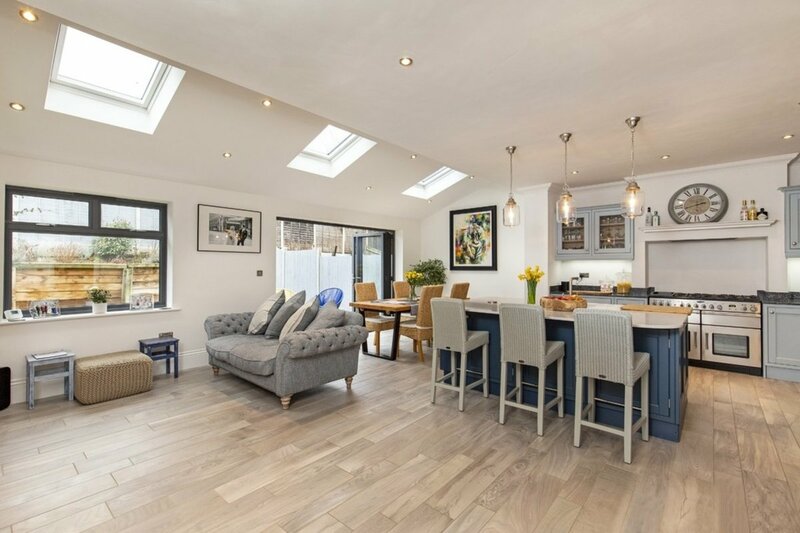 There cosy reception room is a beautiful addition to the large, rear kitchen/diner/family room which has been designed to easily accommodate large groups whilst also providing more intimate spaces for the family to enjoy. 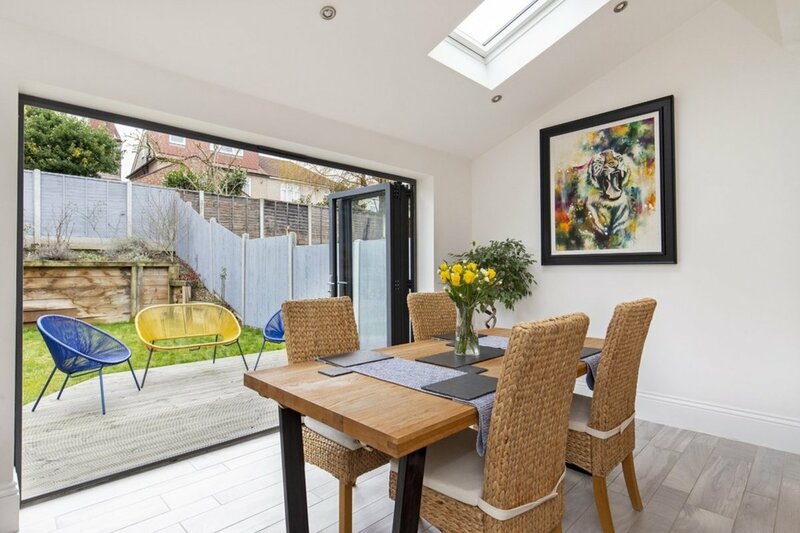 This striking room is fantastically bright thanks to the three overhead skylights, window and large bi-fold doors which open up the back of the house onto the manicured garden in the hotter summer months. 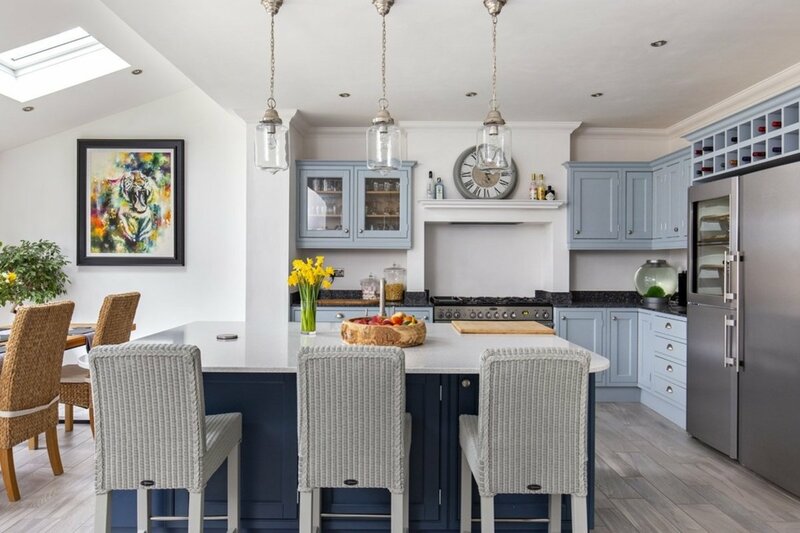 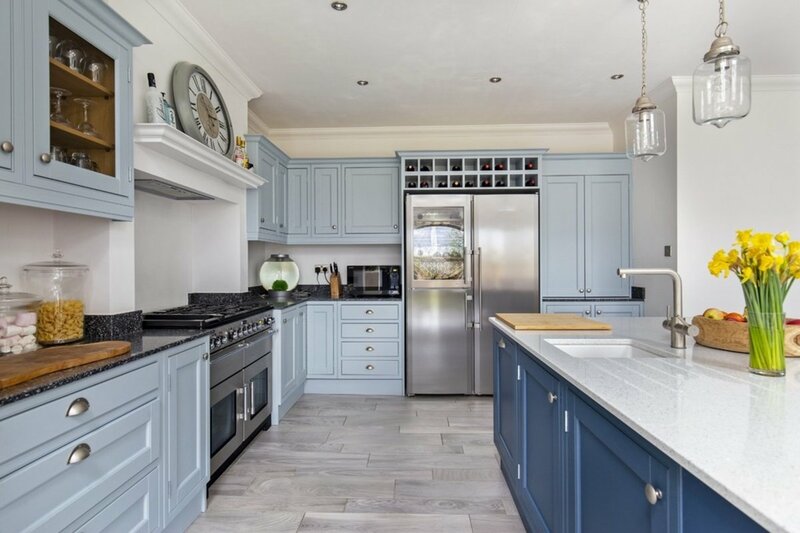 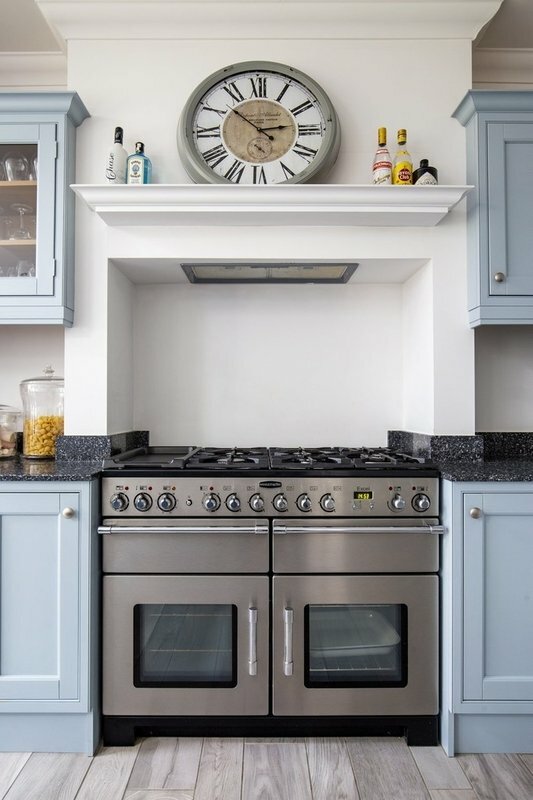 The shaker style kitchen provides a huge amount of cupboard and work surface space with room enough for a large range, American-style fridge freezer and breakfast bar, leaving the rest of the room clear for a large dining suite and snug area. 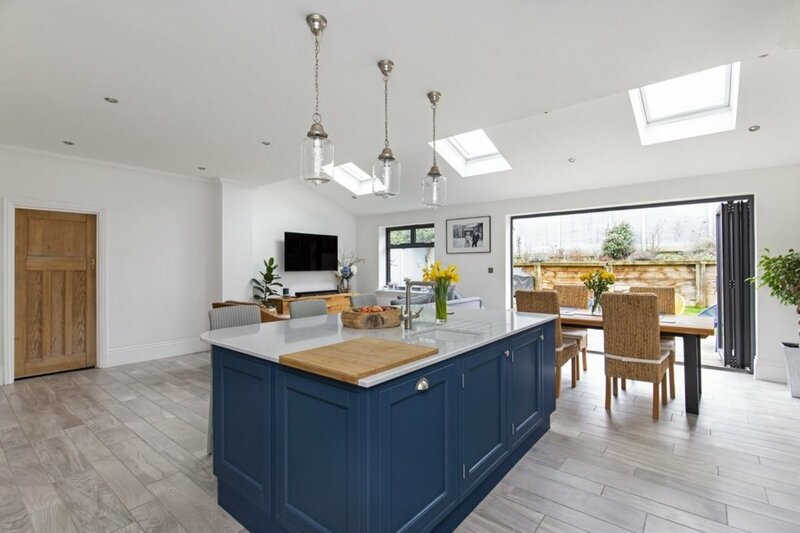 The separate utility room provides a handy space for storing the white goods and necessary but unsightly mess out of view and the garage provides additional storage or parking space. 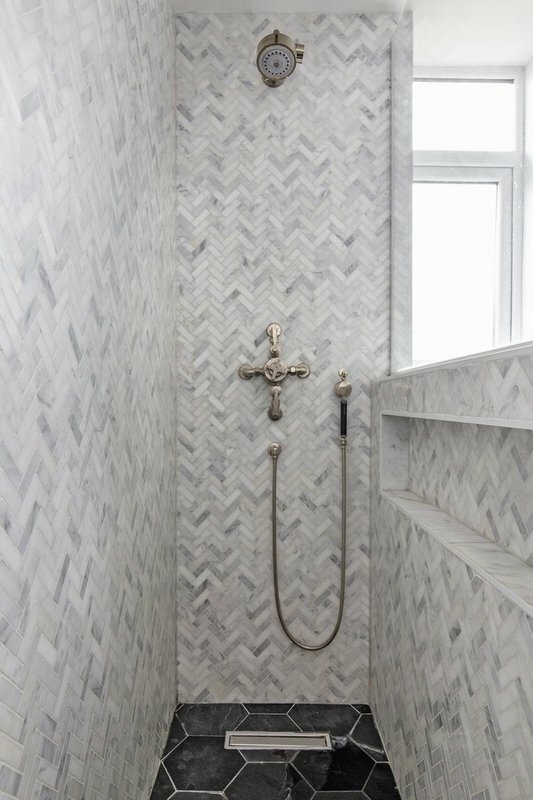 There are two handy downstairs W.C's to this floor. 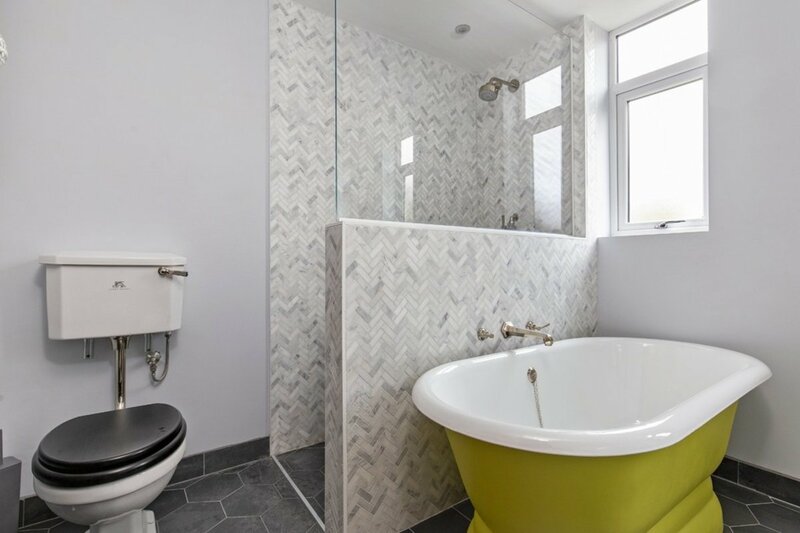 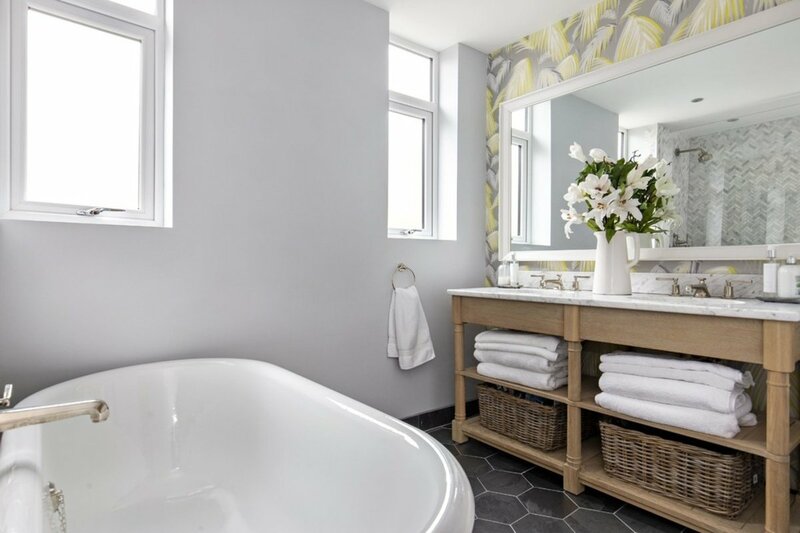 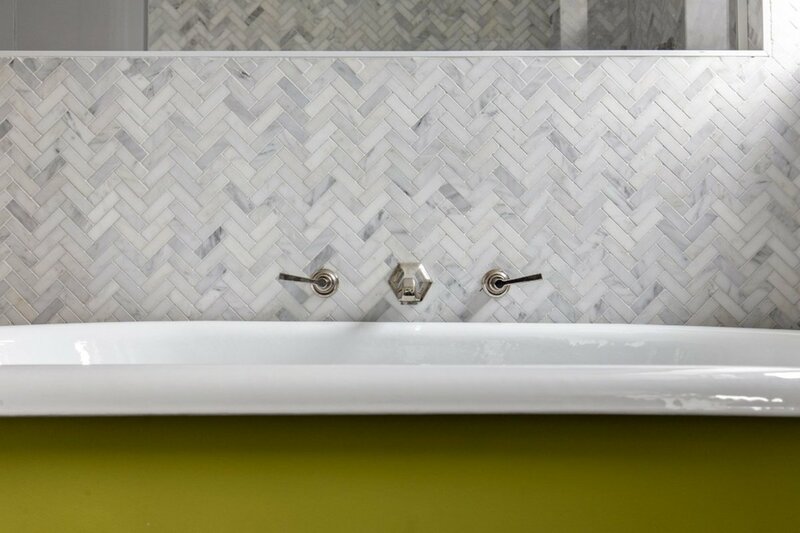 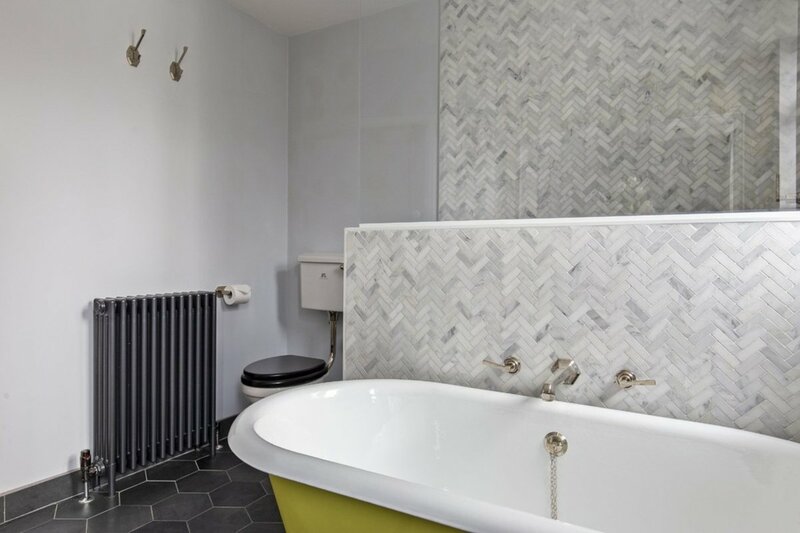 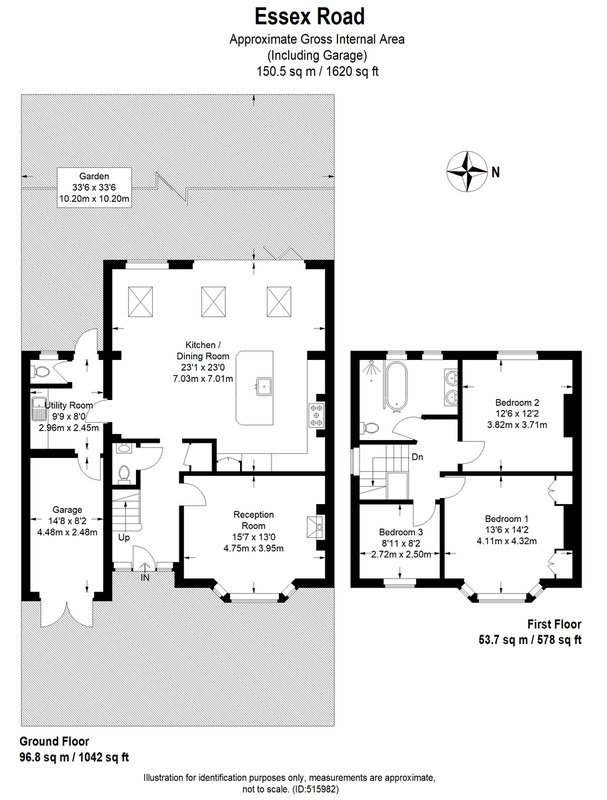 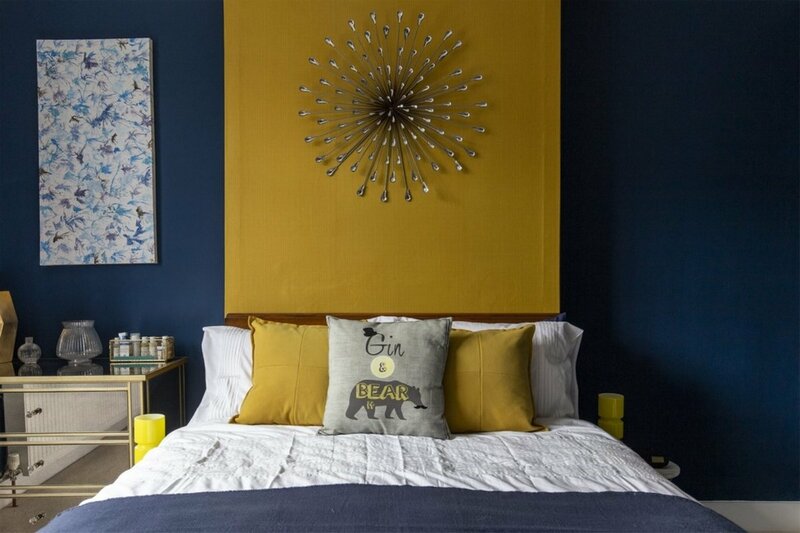 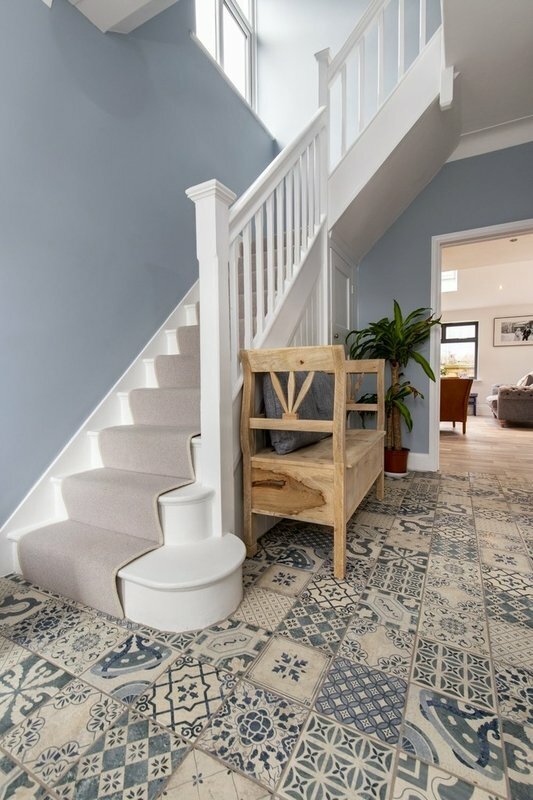 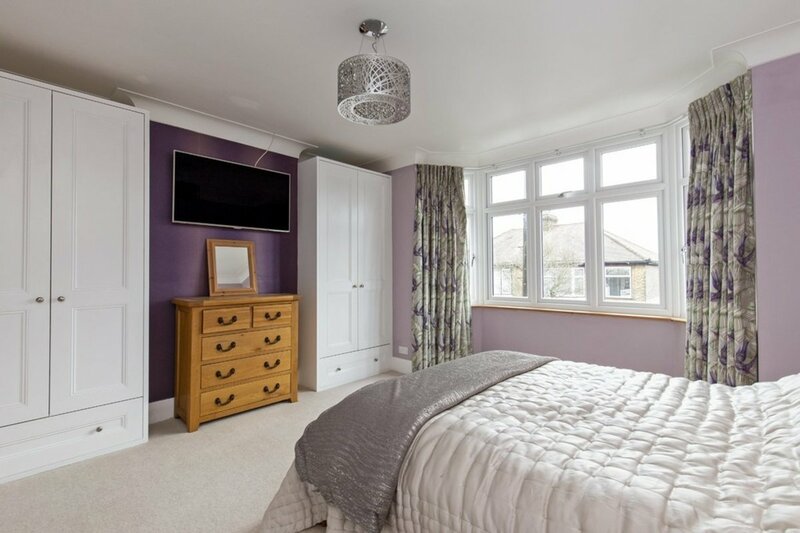 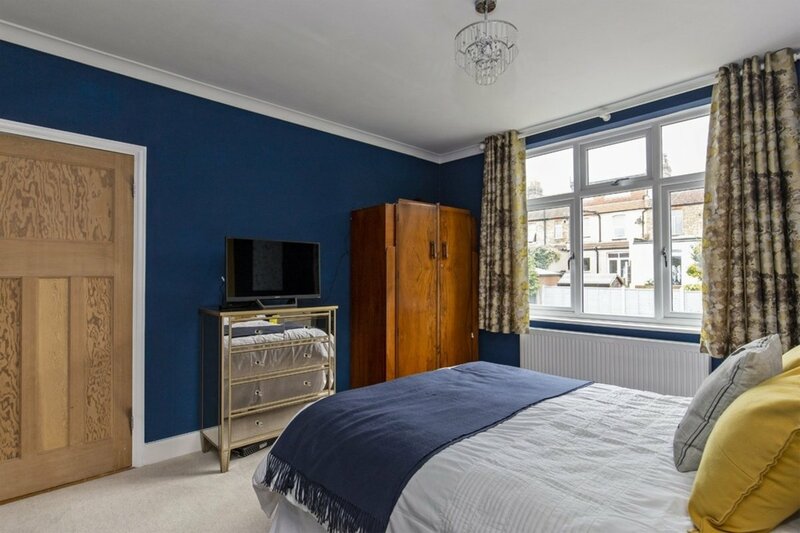 The first floor enjoys three stylish bedrooms, two of which are excellent sized doubles, and an impressive, luxury family bathroom which features a roll top bath, walk in wet room shower, twin sinks, herringbone tiling and stylish wallpaper. 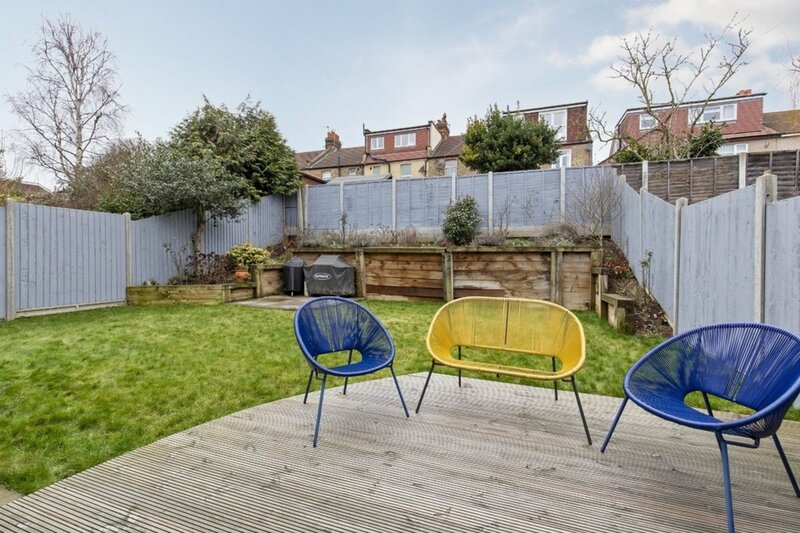 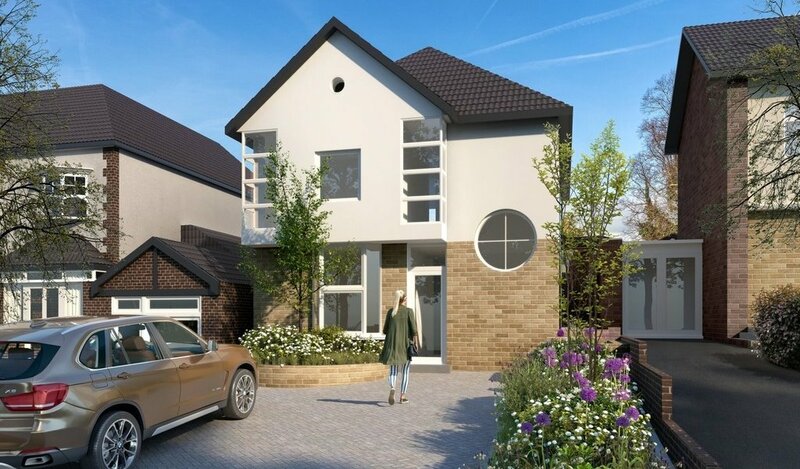 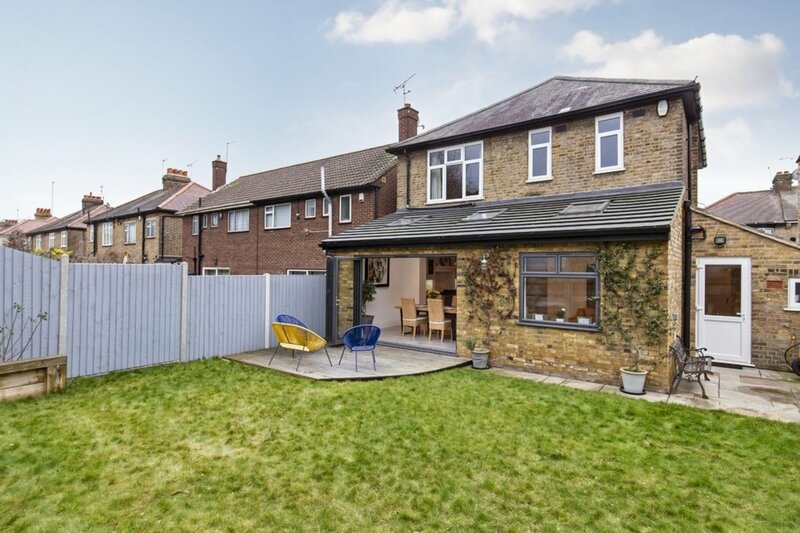 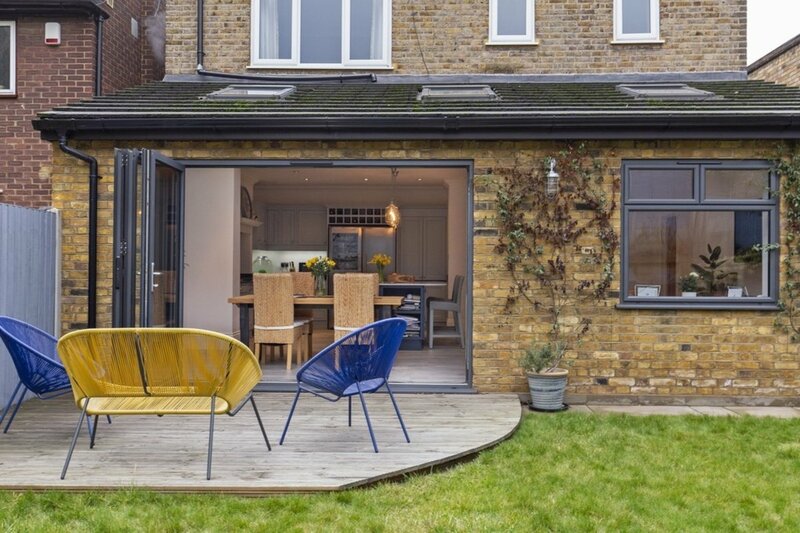 To the rear there is a beautifully landscaped, West facing garden laid to patio, decking and lawn, with a rear retaining wall providing planting and a BBQ area - perfect for entertaining in the summer. 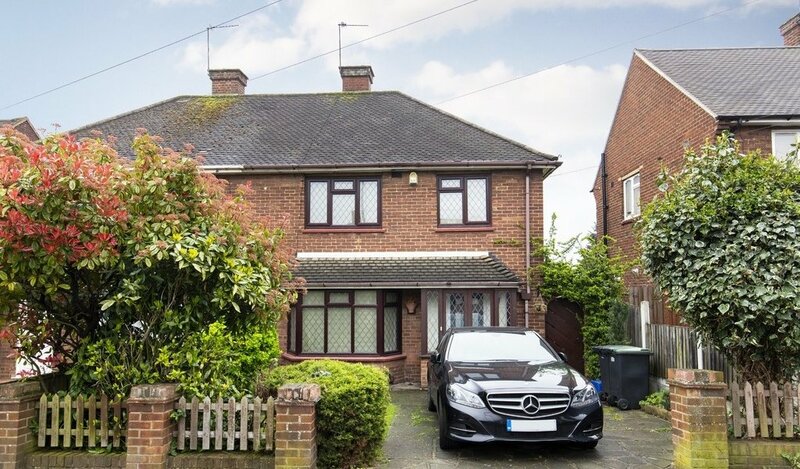 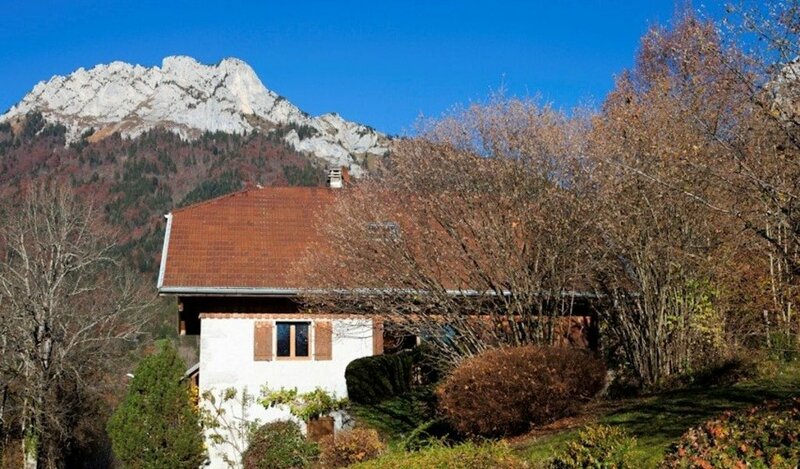 To the front there is a pretty garden and an immaculate driveway providing off road parking for one vehicle.